Soleanis is a Lagoon 500 sailing from Salerno in southern Italy near Napoli. With a master suite and 3 double cabins, she’s comfortable for 8 guests but priced so well that it’s very affordable for smaller groups. 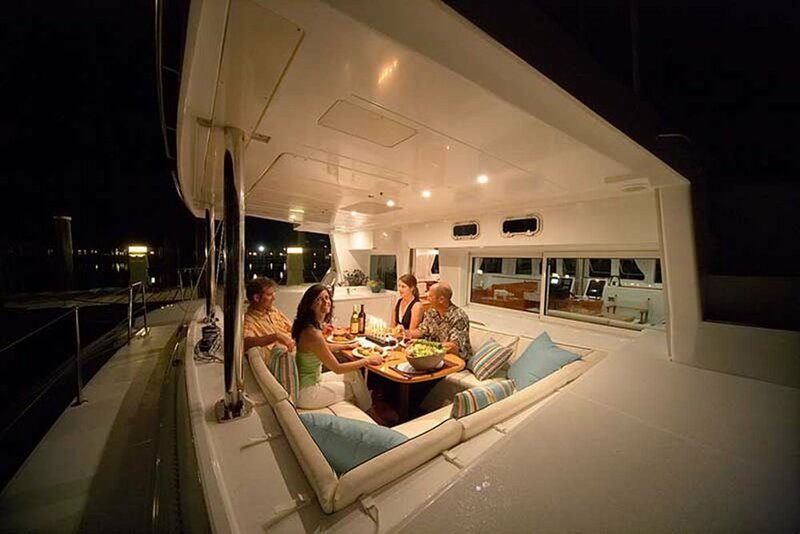 With a menu focused on fresh, local delicacies, you’re group will love the experience of dining on the aft deck overlooking the beautiful Mediterranean and toasting to another remarkable day on the water! Whether you take advantage of the water toys onboard- or head to shore to explore the villages along the coastline, a charter in Italy is a perfect way to experience the slow life of this incredible region!